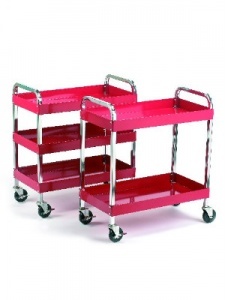 Get your workshop organised with this practical steel tool trolley that can be ordered with either 2 or 3 levels. 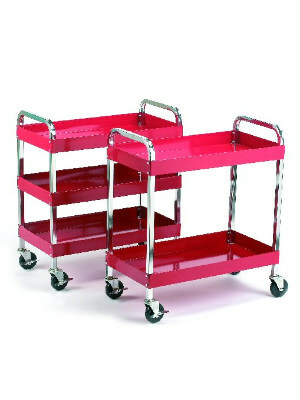 These workshop tool trolleys are commonly used to store tools, components and fixings that are required for a specific task - ensuring that no time is wasted hunting for a particular item. The tray style shelves are great for retaining everything from power tools to small fixings making it perfect for workshops, assembly areas and car repair garages.